Journals are usually accessible to the public without a login, but logins may be required to read, submit, or edit journals and articles. Please use the Login/Register links in the upper right as needed. Please contact Sharon Holderman (sholderman@tntech.edu) with questions or if you would like to create a journal to be hosted on this site. 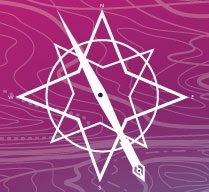 The Journal of Creative Inquiry (JCI) is a publication that promotes scholarly undergraduate research and creative activities, collectively called creative inquiry, by publishing these works and highlighting advancements at Tennessee Tech University (TTU). Our inclusive definition of creative inquiry covers all fields of study, including the physical and natural sciences, business, education, the visual and performing arts, social sciences, nursing, and humanities. JCI accepts submissions produced in all disciplines by any TTU undergraduate student, as well as by recent graduates. We encourage multiple authors on submissions, and except for art and the humanities where it is not deemed appropriate, the faculty research mentor/advisor should also be one of the authors. 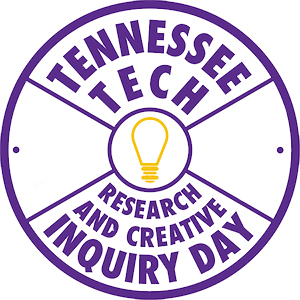 This publication promotes student research and creative inquiry by publishing the abstracts, posters, and papers of participants of the annual Research and Creative Inquiry Day held on the campus of Tennessee Technological University. This is published annually in late spring. Inclusion in the journal is optional, and some work is not included due to intellectual property protection and due to publication in other journals. The authors retain all copyright and ownership of the material, and they are free to publish the materials elsewhere as desired. Coming soon....The official journal of TASCD, the Tennessee Association for Supervision and Curriculum Development.